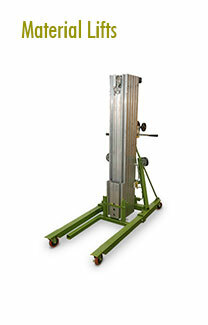 Material lifts are easily transportable and can be used for a variety of field operations. 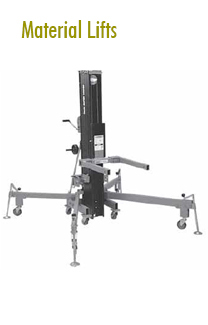 The concept is similar to a forklift; hand operated, certain models go up to 24 feet, and items like air conditioners, heat pumps, duct work, and transformers are commonly lifted using these material lifts. 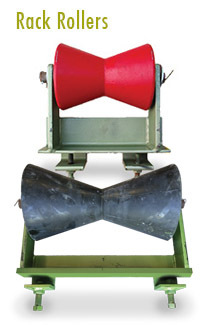 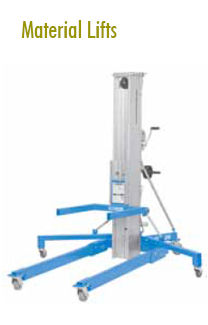 Any load that needs to be jacked up to installation height and held in position, automatically. 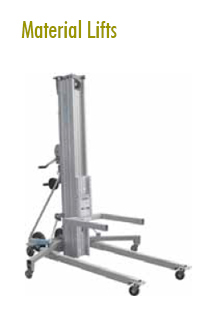 These lifts are ideal for a wide variety of tasks, including shipping/receiving, lifting heavy material to or from shelves, installing and repairing HVAC components, lifting and moving automotive parts, and other manufacturing applications. 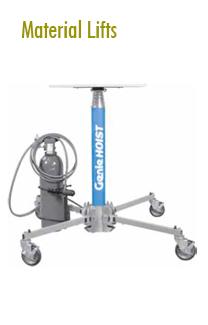 The shorter legs on the counterweight base allow you to get closer to loads on countertops or shelves. 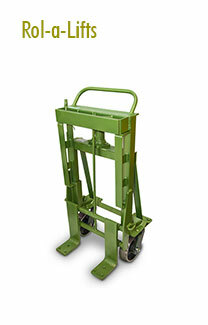 Plus, the standard base offers a low loading height suited for general lifting and material delivery. 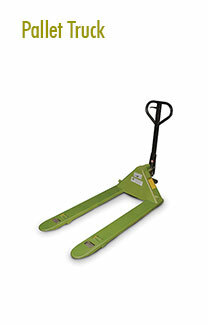 What capacity do you require? 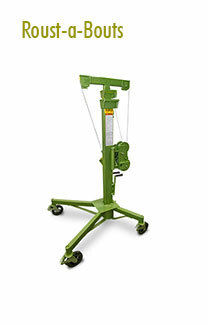 Will extra shackles or any slings be needed? 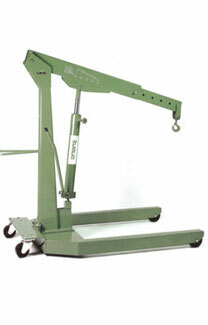 Will any other equipment be required to ease or speed up the jobs? 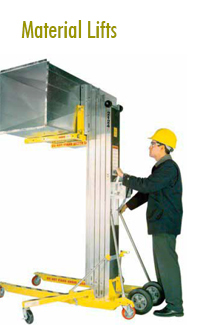 Be the first to review “Material Lifts / Contractor Lifts Rental” Click here to cancel reply.